Promotes certification activities for the state council, SHRM affiliated chapters and their members. Facilitate State & Chapter programming resource information & ensure that information regarding speakers, content, & related materials are made available to all Chapters. Reports to the state director on a regular basis concerning activities promoting certification throughout the state. Promotes the primary certification of human resource professionals through the SHRM Institute (SHRM). Promotes the partnering of chapters and universities to conduct certification preparation courses using the university-based SHRM Learning System. Promotes the certification of human resource professionals through the Human Resource Certification Institute (HRCI). Promotes the formation of chapter study programs to facilitate the certification of chapter members. Encourages the certification of council members. Develops communication programs in and about certification (e.g. topical, process, re-certification, issues, etc.). Must be a SHRM member in good standing. SHRM certification required. Sheree Yates is a HR professional with nearly 15 years of Human Resources experience, with the majority of that time in a lead Human Resource position. Sheree is the Director of Human Resources for Educational Credential Evaluators a non-profit located in Milwaukee. She has a strong knowledge of strategic planning, recruitment practices, organizational change, leadership, employee development, benefits, and training. Sheree has a BA in Psychology from the University of WI- Milwaukee, and is currently in working on an MS in Organizational Change Leadership program with the University of Wisconsin – Platteville. She is a SHRM Certified Professional (SHRM- CP) and Professional in Human Resources (PHR). Sheree is a SHRM national member and an active member of SHRM’s Racine and Kenosha (SRKA) and Milwaukee Metro SHRM (MMSHRM) chapters. She is serves on the SRKA board as the Workforce Readiness CLA and the MMSHRM board as the Certification Committee Board Liaison. 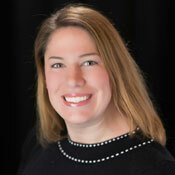 Sheree currently lives in McHenry, IL with her husband, two sons, and their dog Duke.